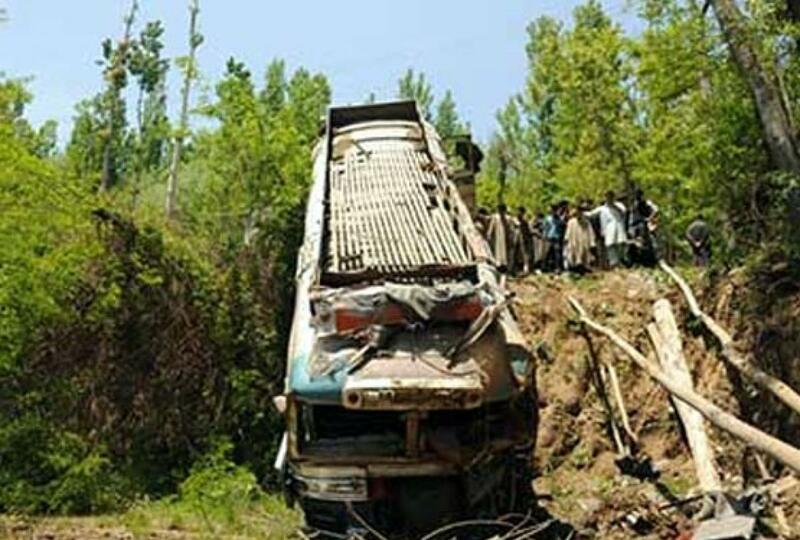 Aizawl, Oct 26 : At least 11 people including two pregnant women were killed and 21 others injured when a passenger bus fell into a deep gorge in South Mizoram’s Lunglei district on Saturday night, officials said on Sunday. The passenger bus plying between Aizawl and Lawngtlai, headquarter of Lawngtlai district rolled down the deep gorge near Ramlaitui village. “The bus fell plunged the gorge, when the driver tried to avoid a head-on collision with a speeding truck,” an official of Lunglei district administration said. 11 passengers including four women and the bus driver were killed in the road mishap. The injured persons including few children and women had rushed to nearest hospital. The main reasons of road accident is because of over speed, drink driving and non-wearing of seat belts. Government strictly have to take any remedial measures to stop this. This is really a sad news and I am sure that investigators would have found some clue that could solve all of the main problems of this case. Hope so that this will be solved soon. I work as a writer at writingleader.com and every time I have to write an article where people died or suffered it's all painful and sad. Realizing that for these people there will be no tomorrow and they will not see the dawn of a new day. Take care of yourself and your loved ones. We do not know what will happen to us tomorrow, cherish every moment spent with people close to you! It`s always awful to read such kinds of information. Nowdays road accidents are happening very often and we can`t predict that. It`s better to me to read healthy food essay where I would find useful information and forget about bad things. It's about horror! Light memory for everyone! When I saw this news on the site https://writer-elite.com, it was just shocked.